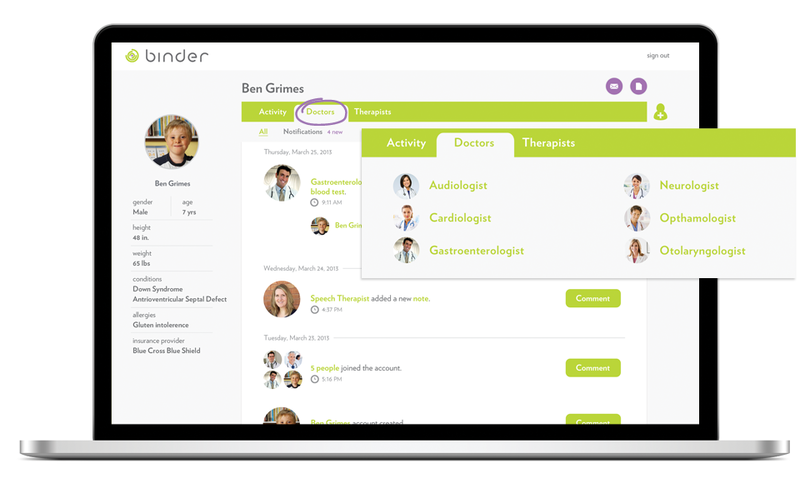 Here’s the problem: From the mildest cases of learning disabilities to the most severe mental and physical disorders, caring for a child with special needs requires a great deal of time, energy, and attention. 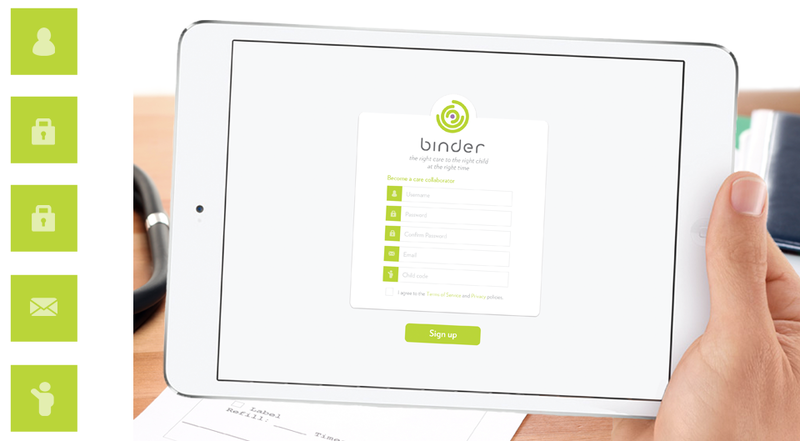 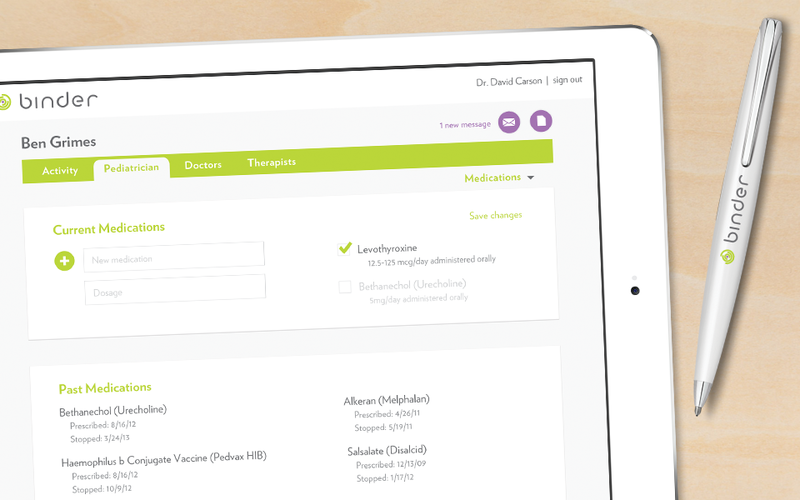 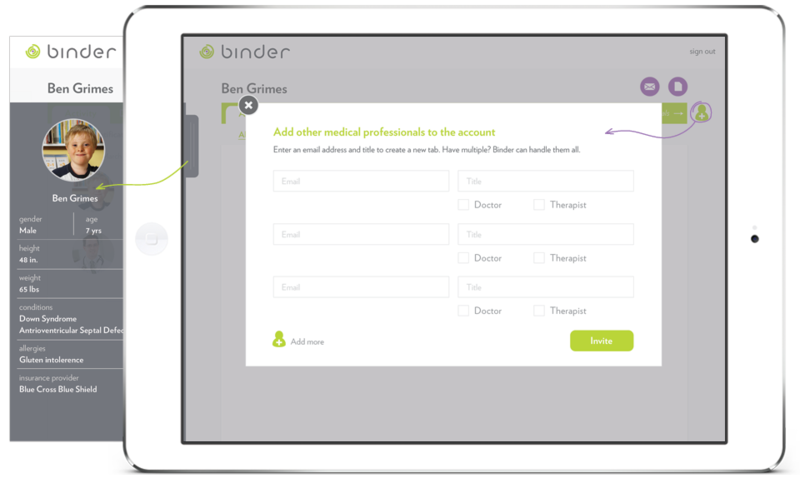 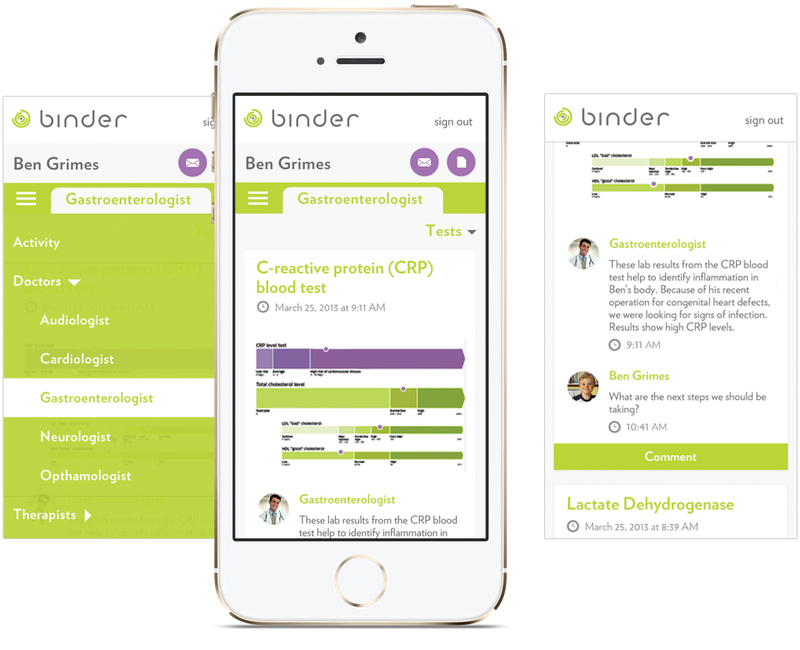 For which I have a solution: Binder is a digital communication tool for doctors, specialists, therapists, and parents of children with special needs that accurately and concisely organizes all medical information in one location. 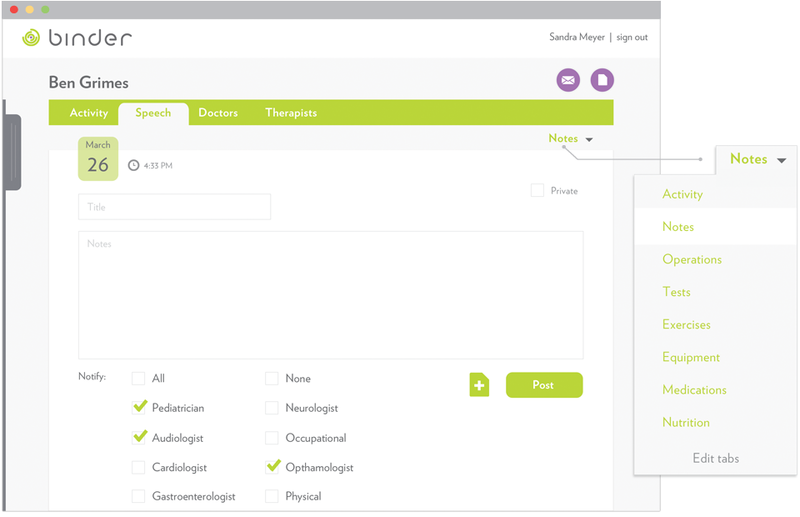 It enables medical professionals to quickly communicate and work with one another to provide the best possible care for each child’s specific and unique needs, thus also reducing stress on the parents.